1Not available with lease and some other offers. See dealer for details. 2*MUST QUALIFY FOR GMS (GM EMPLOYEE OR ELIGIBLE FAMILY MEMBER) AND HAVE A CURRENT GM LEASE. ALL TAX AND FEES ARE INCLUDED ASSUMING TRANSFER OF PLATE. 10,000 MILES PER YEAR. WITH A1 CREDIT APPROVAL THROUGH GM FINANCIAL. NO SECURITY DEPOSIT REQUIRED. EXPIRES 4/30/19 **0% FINANCING MAY BE IN PLACE OF SOME REBATES. BASED ON A1 CREDIT APPROVAL THROUGH GM FINANCIAL 3*MUST QUALIFY FOR GMS (GM EMPLOYEE OR ELIGIBLE FAMILY MEMBER) AND HAVE A CURRENT GM LEASE. ALL TAX AND FEES ARE INCLUDED ASSUMING TRANSFER OF PLATE. 10,000 MILES PER YEAR. WITH A1 CREDIT APPROVAL THROUGH GM FINANCIAL. NO SECURITY DEPOSIT REQUIRED. EXPIRES 4/30/19 **0% FINANCING MAY BE IN PLACE OF SOME REBATES. BASED ON A1 CREDIT APPROVAL THROUGH GM FINANCIAL 4Monthly payment is $13.89 for every $1,000 you finance. Average example down payment is 4.5%. Some customers may not qualify. Not available with leases and some other offers. Take retail delivery by 4/30/19. See dealer for details. 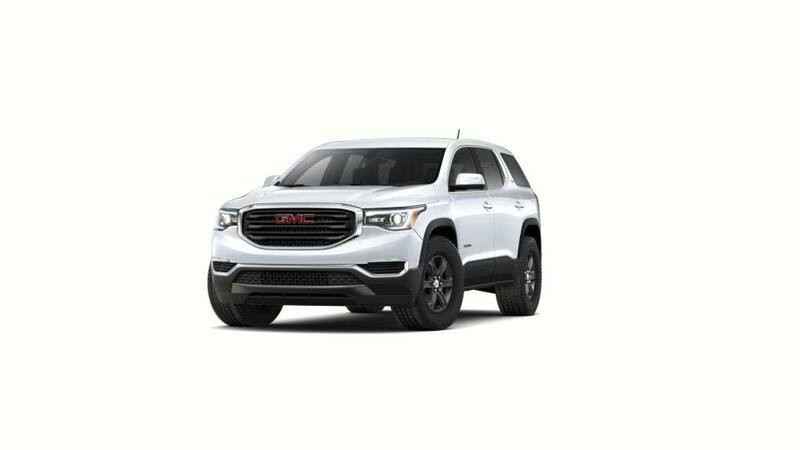 If you are searching for a new Buick or GMC , Suburban Buick GMC of Ferndale can help. As your Ferndale Buick, GMC source, we have an unbeatable collection of new cars, trucks and SUVs so that you can find the best car for you. Browse vehicles by searching through our current selection of new Buick, GMC s in Ferndale above. Should you have some questions, you always can get in touch with a Suburban Buick GMC of Ferndale sales representative by phone at (248) 412-0083 or contact us online.